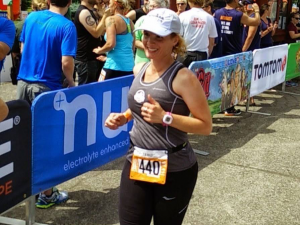 Japan Marathon Sendoff – Help send off local runner Holly Graham to Sister City Tateyama, Japan this Saturday for the 36th Wakashio Marathon with a big gambatte! woop! woop! Join our growing group of locals who have run the Wakashio and you too can be an emissary of World Peace. Enjoy hot ocha and tasty onigiri under our tent. Weather you run, walk, or just stand with us, we’ll see you at the new trailhead and bridge! Come and applaud Holly who was awarded $500 of the 2015 Sister City Association Peace Grant for her trip. Visit www.bsca.org. Holly is prepared to carry your personal message or gift of international understanding to Tateyama, so write a letter to Mayor Kanamaru or wrap a gift for your Tateyama friends and bring it with you. Mayor Kelli Linville and The Bellingham Herald have both been invited to join us. Holly (of Bellingham Fit fame) is in for an adventure beginning with her meet-up with our Port Stevens, Australia Sister City runners at Narita airport and ride to Tateyama. Her trip includes her home stay family, group meeting with Mayor Kanamaru and the International Exchange Society, master class with a professional marathoner, lunchtime visit at an elementary school, tour of temples and castles, tea ceremony, public bath and party with the Soyuukai Running Club, and who knows what else, but all under the watchful care of our supporters and English-speaking staff in Tateyama. If Holly’s sendoff is not enough fun for you, join us for a pot-luck the next day, Sunday Jan 24th from noon to 3:00 for our Japanese New Years Celebration at the WECU Education Center on Holly Street. Try your hand at pounding mochi, eating whatever you bring, and seeing, doing, and being things Japanese. 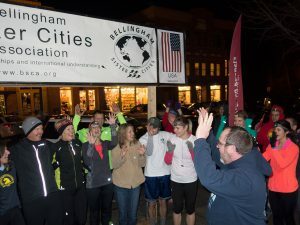 This entry was posted in Bellingham Sister Cities Association, Bellingham Sister Cities Association, Tateyama Japan and tagged Bellingham Sister Cities, Bellingham Sister Cities Association, BSCA, Japan, Mayor Kelli Linville, Mayor Linville, Tateyama. Bookmark the permalink.